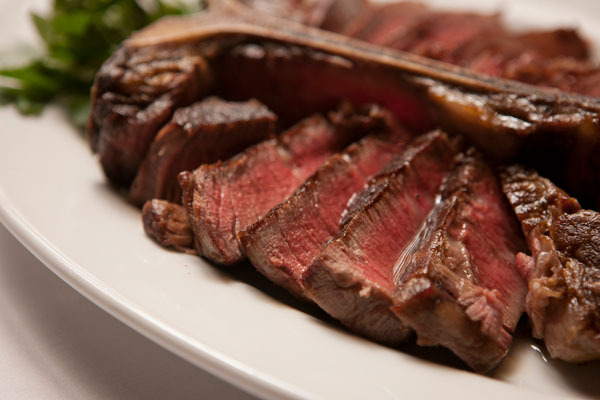 Mention Gallaghers to any native New Yorker and you’re bound to hear a personal connection to this classic Manhattan steakhouse, one of the most storied restaurants in city’s history. Born a clandestine speakeasy in 1927, Gallaghers has been the oasis of Broadway stars, sports icons and socialites for 90 years. It’s no wonder it is one of the city’s oldest and most successful restaurants. 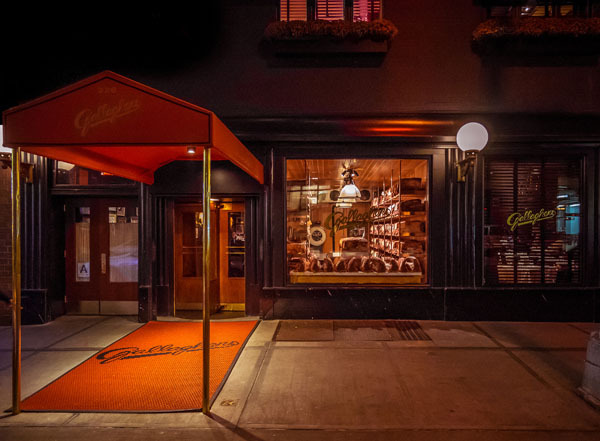 Prime dry-aged steaks are what you’ll find when you stroll up to Gallaghers world-famous entrance. An unofficial Theater District landmark, it features a glass meat locker where the world’s finest steaks and chops take center stage. Day and night, Gallaghers’ camera-ready meat locker is also where a pilgrimage of locals and visitors take selfies, memorializing one of the last remaining eyewitnesses to authentic New York history. 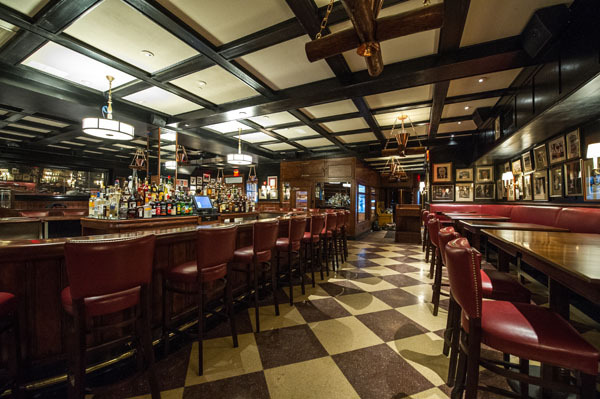 Take a few steps inside Gallaghers dining room – with its inviting horseshoe-shaped bar, clubby wood-paneled walls and museum-quality photographs – and you’ll discover Manhattan’s most colorful personalities reveling in the “old school cool” vibe that only a true icon can deliver. 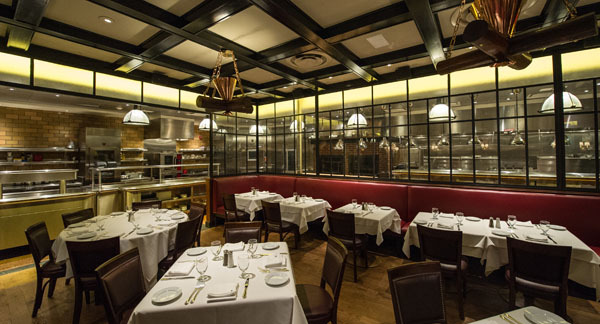 In Gallaghers’ kitchen – the first in the city with an open format – you’ll spy acclaimed Chef Alan Ashkinaze firing the finest cuts over the steakhouse’s signature hickory coals. 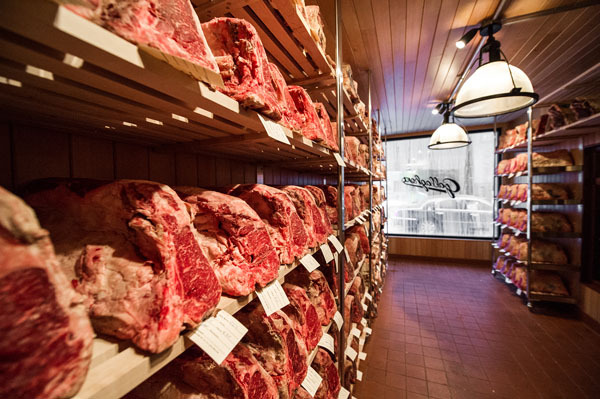 The first New York restaurant to serve the eponymous New York Strip, naturally Gallaghers is the darling of carnivores, who revel in choosing from an array of cuts, including porterhouses, sirloins and rib-eyes. I had the pleasure of dining at Gallagher’s and have to say that the staff and quality of food was top notch. The jumbo lump crab cake appetizer melted in your mouth as did the Burrata & Peppers. We ordered the strip steak which was cooked to perfection and the flavor was of the highest quality. Whether you like steak, fish, lamb chops, Gallagher’s has you covered. Just when you think you have had enough with appitizers main course and sides the desert menu comes along. I suggest the NY Cheesecake and the Crème Brulee. All in all, between the impeccable service and quality of the dishes it’s a must visit in NYC! Gallagher’s is open 7 days a week for lunch and dinner. One of the few Midtown restaurants that stays open until 11:30pm, Gallaghers is a natural for a post-theater supper. INSIDER’S TIP: Gallaghers’ $29 three-course prix fixe lunch menu is the deal-of-the-decade.